Best Books to Prepare for SSC MTS 2018 – Candidates aspiring for appearing in SSC MTS recruitment examination must have good command over the fundamentals and concepts of General Intelligence & Reasoning and Numerical Aptitude. As per the experts the questions in these section is basic in nature which required good knowledge of calculation, logics and clarity of concepts. The key component to prepare for this exam is studying from the right material and book as per the syllabus prescribed for SSC MTS 2018. Many toppers of SSC MTS suggest that it is imperative for candidates to refer to the quality resources rather than wasting time on stuff that are irrelevant for the exam. SSC MTS is likely to be conducted in February/March 2019 for selecting around 10,000 candidates for multi-tasking non-technical jobs in various government departments. Selection of best books for SSC MTS preparation plays a crucial role in securing high score in each stage of examination. SSC MTS aspirants often get confused as there are abundant of books available in the market all claiming to provide quality materials. To save time and get the best resource, candidates should refer to the study materials recommended by experts. Careers360 brings here the list of best books to prepare for SSC MTS 2018. Before proceeding to best books to prepare for SSC MTS 2018, candidates have understanding of the exam pattern. According to notification, paper 1 will be conducted in computer based mode while paper 2 in pen and paper based mode. SSC MTS comprises two papers – I and II. Paper II of SSC MTS is a Computer Based Test (CBT) and carries objective type questions from General Intelligence & Reasoning, Numerical Aptitude, General English and General Awareness. Maximum marks allotted for this exam is 100. Paper II is a descriptive test of 50 marks. Below are the list of section-wise best books to prepare for SSC MTS. Questions on General Intelligence and Reasoning will be non-verbal type. The test includes questions designed to test a candidates’ abilities to deal with abstract ideas and symbols, arithmetical computation and other analytical functions. Candidates need to apply their analytical and logical skills to solve questions from this section. To ace this section, experts have suggested the names of following books. Questions on Numerical Aptitude will be Class 10 level. This paper will include questions on problems relating to Number Systems, Computation of Whole Numbers, Decimals and Fractions and relationship between Numbers etc. Numerical Aptitude section tests how candidates are familiar with numbers and calculations. Candidates can refer to the following books to practice problems on Numerical Aptitude. Questions in this section are designed to check candidates understanding English Language. This section will also check candidate’s aptitude for correct usage of vocabulary, grammar, sentence structure, synonyms, antonyms etc. Best books for SSC MTS 2018 for English Language is given below. This section of SSC MTS will have questions based on environment, politics, sports, history, culture, geography, economy, Indian Constitution. Candidates can refer to the following books for general awareness preparation. 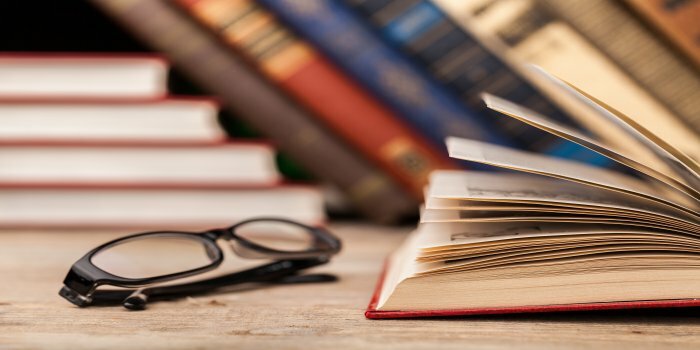 How to choose best books for SSC MTS 2018? While selecting books, the first question that comes to mind is which books to buy. Here, expert advice candidates to buy those books that are exam oriented and covers the entire syllabus. Candidates should consider the following points while buying books for SSC MTS preparation. Aspirants should pick those books which are based on latest exam pattern and syllabus. A book with different kinds of problems with their detailed solutions may be the right choice.